I made three of the adult versions as a special thank you to my son's preschool teacher and aides. He is a full-time job in and out of our home and these ladies needed a place to relax for the summer. I hope they've got a lot of use out of them. 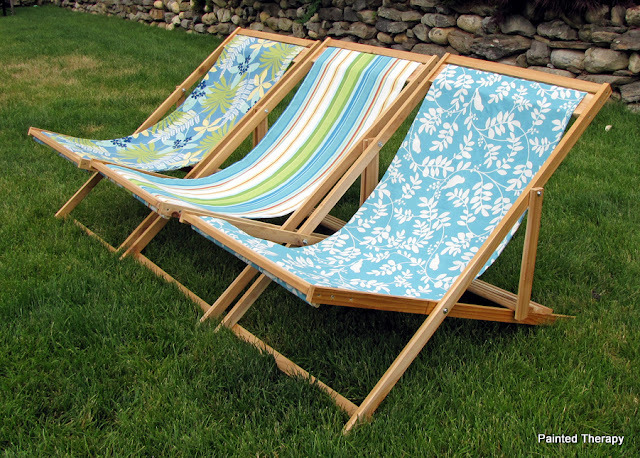 I purchased the fabric from JoAnne's Fabrics and the wood I used for these is cedar, coated with Thompson's Water Sealer. 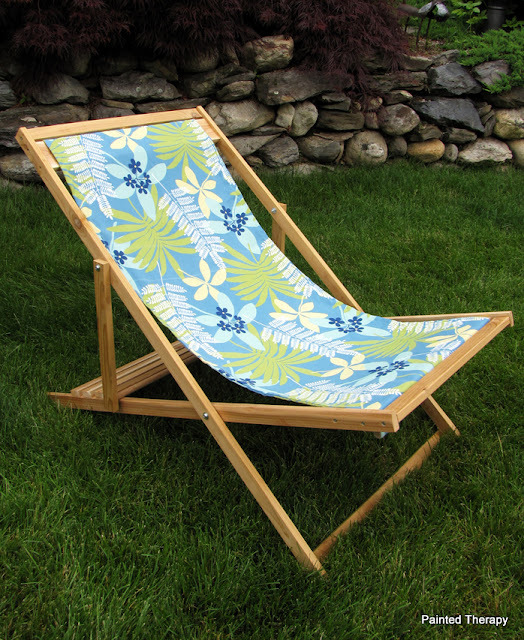 You can find the plans for the adult-sized version of the beach sling chair here. I also had to make a few for my little darlings. Ana has slightly different plans for the kid's version. You can find the plans here. 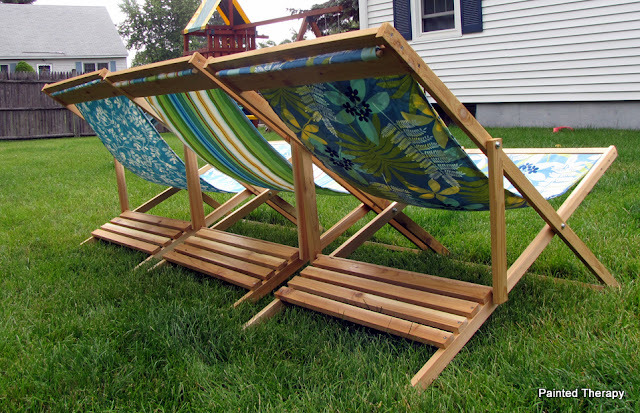 These bad boys were made with pine, and I decided to paint them with white exterior paint. Made the kid's chairs with reversible fabric. Surprise yourself or someone else by giving these a try. This is Melissa @ Daisy Mae Belle. LOVE these chairs! I am going to have to look into making some of these! Thanks for sharing! WOW! What an amazing present! I'll bet those teachers were thrilled! Awesome!! How cool that you gave them as gifts!! I bet the teachers are talking about them for years to come!! 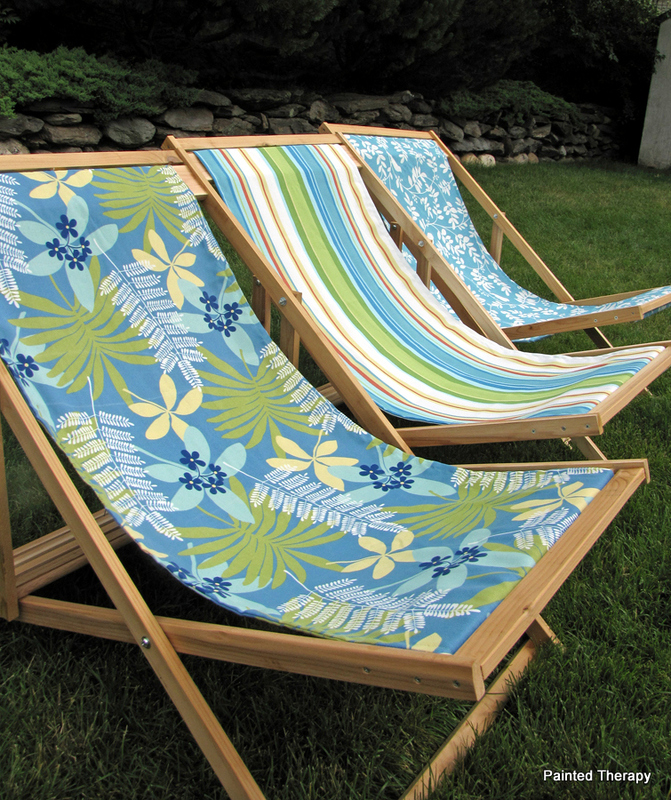 Hi Debbie: These are just gorgeous--I love the fabrics you chose for them. I think they are perfect for summer, and I am sure your children's teachers were thrilled! 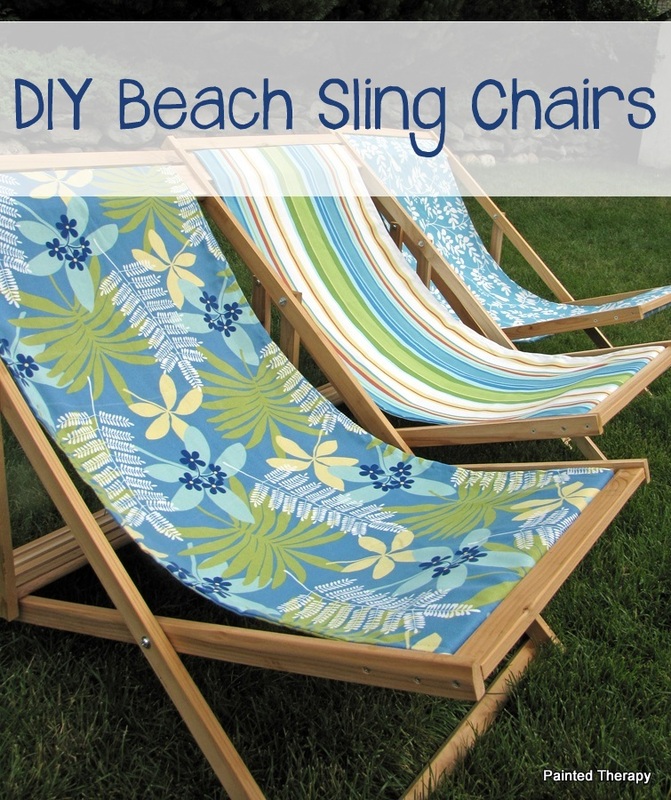 Love the Sling Beach Chairs but, are the strong enough to hold the weight of fat people? just love these chairs!! clever idea. These bright and cheerful chairs look so inviting! Thanks for dropping by and linking to Potpourri Friday! Thanks so much for sharing these chairs last week with Wednesday's Adorned From Above. They are so cute. I love them. The link party is open now for this week. These are just the sunny thing I needed on this gloomy rainy day. They just shout "beach" to me. I'll check out the plans. These are so cute! :) Love this idea! OF COURSE they approve! Your kids are soooo lucky to have such a HANDY mom like YOU!!! These chairs are as adorable as.... well, I don't know what, but I stand by this: they are extremely cute! This is an awesome blog, thank you so much for sharing this blog.